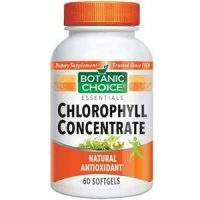 Botanic Choice Chlorophyll Concentrate Review - Does It Work? 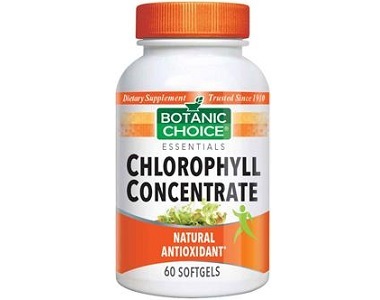 In our review today, we will examine a product that Botanic Choice made called Chlorophyll Concentrate. The manufacturer wanted to provide a product that makes people good about themselves. 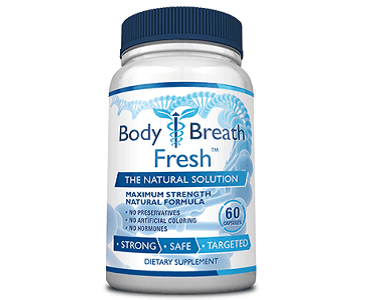 The manufacturer formulated the product to address the root of body odor, freshen and cleanse your system from the inside out, and assist digestion and restore confidence. We look at all the facts to see if this manufacturer lives up to the claims it has made. What’s in Botanic Choice Chlorophyll Concentrate? The only active ingredients that the manufacturer used in the product is Chlorophyll Complex. The ingredient helps to suppress bad odor and permeates a pleasant aroma. The ingredient is a dark green pigment found in plants and algae. The manufacturer left out important ingredients such as Magnolia, Fennel, Peppermint, L. Acidophilus, Green Tea and Chlorophyllin-Copper Complex. How Do You Use Botanic Choice Chlorophyll Concentrate? The manufacturer suggested that you take one soft gel one to four times daily with a meal. The manufacturer did not state the time of day that that time gap between the four daily doses to ensure consumers do not experience side effects. The manufacturer suggested a high daily dosage, which indicates that the product may not be potent enough to deliver measurable results. Each bottle contains 60 capsules that you can buy from the official website for $4. The manufacturer had reduced the price of the product from $6. The extra cost consumers will incur is the shipping of the product since the manufacturer did not include it in the purchase price. Yes. The product comes with a guarantee. The manufacturer offered a satisfaction guarantee. The period of the guarantee is one year. Consumers who did not experience the results they were hoping for can send the product back to the manufacturer to claim a refund. When consumers send the product back, they have to pay the courier, which the manufacturer will not refund. After examining the product, we discovered all the aspects of the product and will summarize our findings. The manufacturer made the product to address the root of body odor, freshen and cleanse your system from the inside out, and assist digestion and restore confidence. The manufacturer’s website is user-friendly. The manufacturer recommended 4 daily capsules but did not state the time gap between the doses to ensure that consumers do not experience side effects. The manufacturer made the shipping cost an additional expense, which the manufacturer is responsible to pay, and the manufacturer will not refund that expense. The product comes with a guarantee, but consumers have to pay the shipping of the product to send it back to the manufacturer if they wish to claim a refund. We found that the product has only a few customer testimonials. That tells us that consumers do not regard this product to be worth their time and have opted for other products. If many consumers had purchased the product, it would have numerous testimonials. That is not the case with this product. This review helped us to determine that the market has better products to offer than this one.